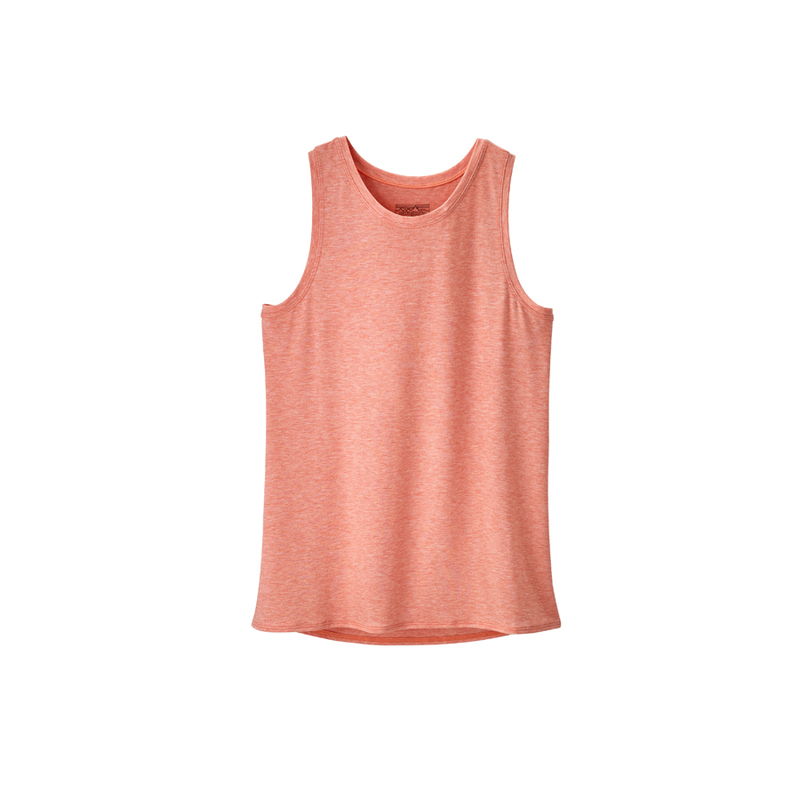 Light and airy, this moisture-wicking, quick-drying tank is made of a soft, lightweight 74% polyester/19% TENCEL® lyocell/7% elastane fabric. Summer’s the time to break rules: hike in a dress, surf cast in a skirt, dine in a bikini and sleep in a tank top. Deciding what to take—or better yet, what not to take? If the temps suggest a close-to-naked approach, pack minimally, include layers for the occasional squall and don’t be surprised if you come home with only a handful of clothes to throw in the wash. 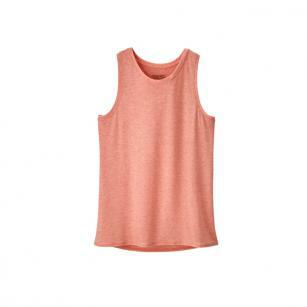 The Glorya Tank is a committed rule breaker—refusing to wrinkle and providing comfort all day (and night) long. It’s made of a soft fabric blend, and it’s Fair Trade Certified™ sewing. 4.9-oz 74% polyester/19% TENCEL® lyocell/7% elastane heathered jersey.